This day is ideal to keep fasting (consuming only water) because the body’s detoxification capacity is on the maximum capacity. The following activities ARE favored: seeding and planting , weight gain,surgeries, fertility, increasing the body’s healing power, drainage massage, hair and nail trimming, gathering information and learning, social networking, construction and action. Avoid the situation when Moon in transit is in „via combustia”. The area between 15 Libra and 15 Scorpio is termed the Via Combusta: ‘Fiery Road’ or ‘Combust Way’. It is considered to be a debilitating area, particularly detrimental to the Moon. Al Biruni wrote about it. The best is if the Moon is in good aspect with Venus or Jupiter and avoid bad aspects with Mars, Saturn, Neptun and Uranus. Also if the Moon is transiting a fixed sign. And also do not make a surgery when the Sun is in the sign which rules the part of the body to be cut. Also, it is good to know that the Moon rules acute diseases, the the Sun chronic diseases. Watch the squares and the opposition of the moon to the transiting sun, Mars, and Saturn when operating. The Moon has greatest rule over the health of the woman while the Sun influences the health of the man. Pisces: foot, toes, thalamus, fibrin in the blood, lymphatic system and adipose tissue. 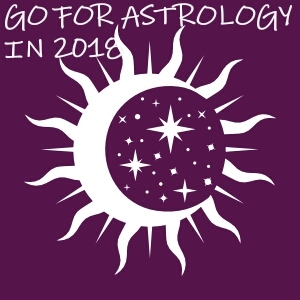 For example, when waxing Moon is transiting Pisces sign, it is a right moment to apply treatments but not a good moment to make surgeries to the areas described above for Pisces sign (see above list). The following activities ARE favored: Relaxation, rest and meditation. The following activities ARE NOT favored: surgeries especially in the area of the zodiac sign where the Full Moon is done, vaccinations. Also it is good to avoid conception of a child during a full moon or during a lunar eclipse. The Moon has great influence over insane people, that is, lunatics, and over hysterical, epileptic,and nervous patients. These patients feel the changes of the moon very greatly; especially are they very restless during the full of the moon. They should never sleep with the moon shining on them. The following activities ARE favored: harvest, diet and detoxification, maditation, any kind of cleaning and to get rid of bad habits, weight loss and relaxation massages, fishing, to continue the activities already started during waxing moon; sharing of information. The following activities ARE NOT favored: launching or stating of new projects or new products.